Julia Mitric of Capital Public Radio spoke to UC Cooperative Extension entomology specialist Beth Grafton-Cardwell about the ruling. Grafton-Cardwell said it's a "huge setback." 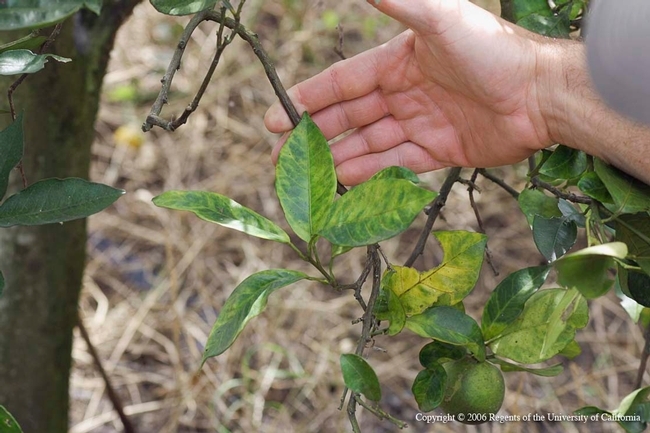 She said spraying trees to control Asian citrus psyllid, which spreads the devastating huanglongbing disease of citrus, is crucial to buy time for scientists to develop long-term solutions to the threat. "The state has managed to contain it to three counties in California — for the moment," Cardwell said. "But it's starting to spread very rapidly and so it's the most critical point in time to limit the psyllid spread."